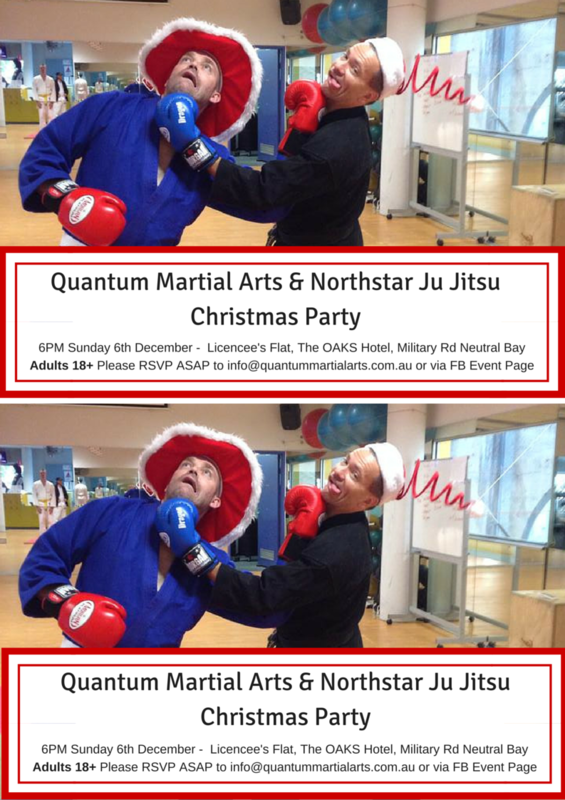 Please don’t forget the Quantum Martial Arts and Northstar Ju Jitsu Christmas Party for Adult Students & Parents (18 plus) on this Sunday 6th (after grading) at the The Oaks Hotel – Licencee’s Flat at 6PM. Please RSVP at info@quantummartialarts.com.au or via the Facebook Event page (preferred). Hope to see you there! Ben & Daz.